In making predictions, getting the timing right is as important as getting the idea right. I just discovered the Parrot Flower Power, a wireless indoor/outdoor Bluetooth smart plant sensor on Amazon.com. "Hey" I said aloud (to myself), "I predicted that!" Yeah, I predicted it 16 years ago. I'm sometimes accurate in my predictions, but my timing is horrible. A prediction too early is as bad as no prediction at all. 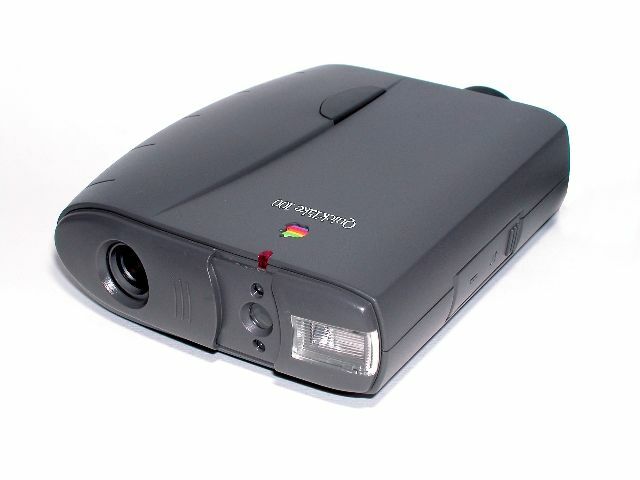 In 1993 Apple released one of the very first digital cameras. I had just joined Apple and I watched as it was released, convinced that this was the future. hah. The camera failed and Apple withdrew (you probably didn't even know that Apple had once produced a digital camera). Five years later I still thought it I great idea so in 1998 I predicted that digital cameras would dominate the world of photography. People were skeptical. It took yet another 10 years before it happened. Right idea - bad timing. Here is another example of bad timing: I was a consultant to the company that made the very first digital picture frame, long before LCD screens were inexpensive, long before we had wireless internet connections (at that time we still used dial-up modems). The company failed. Was it a good idea? Of course, they are no ubiquitous, but we were too far ahead of the times. Good idea, failed company. There is a clear lesson: do the right thing at the wrong time and you fail. In 1998 I published a book The Invisible Computer (subtitled "Why good products can fail, the personal computer is so complex, and information appliances are the solution"). The home medical advisor. ... But the advisor is still not here. Weather and traffic display. ... : I was correct about the display of information, incorrect about the manner. No wall displays - smart phones. The home shopping list. Done - on today's phones. The gardening appliance. Half of what I predicted is in that Parrot Flower Power gardening device: Stick it in the soil next to the plant, connect it to your phone, tell it what kind of a plant it is and then the device will inform you (via your phone) when the plant needs watering, fertilizer, or should be moved into the sun. The only thing lacking from my prediction is photography. The Internet appliance. I did predict this, but it never occurred that the appliance would be the phone. Wearable devices: built into our watches, eyeglasses, and clothes. This is just starting to appear, 16 years later. This probably requires yet another ten years to become truly popular. Smart phones. In 1998 we barely had cellphones. Nokia was just about to release the first of its menu-driven phone that dominated the world for the next decade. The spectacular power of the internet. ... How could I have been so blind? Future predictions: What I now predict. Come back in ten years and see how well I did. Education. The rise of the Massive Online Open Course (MOOC) is a good sign and I believe it will cause significant changes, even if MOOCs themselves get transformed and modified. The rise of intelligent devices. From smart rice cookers to cars. But do note my LinkedIn essay on ?Stupid Smart Stuff: "Whenever you see something labelled 'smart,' be assured it is actually rather stupid." It's nice to see predictions upheld, but in terms of practical value, those predictions were worthless. In making predictions, getting the timing right is as important as getting the idea right. Don Norman wears many hats, including cofounder of the Nielsen Norman group, professor (Harvard, UC, San Diego, Northwestern, KAIST, Tongji), business exec (former VP at Apple, executive at HP, and now cofounder of a startup), on company boards and company advisor, and author of best-selling books on design: Emotional Design, Living with Complexity, and Design of Everyday Things. Learn more at jnd.org.